Bumps is a physics PC puzzle game that doesn't take itself too seriously and offers fun for anyone in the family. While there are cheaper alternatives, the quality on offer here warrants the box price. Going straight for the 'cute' angle, Bumps is a new PC physics puzzler from Utopian Games. Little multi-coloured blobs with big blinky eyes are being terrorised by those mean aliens and it's your job to free the little critters from their cages. The game play is simple enough - place your freedom-fighter bumps at strategic points on the screen, click 'GO!' to let gravity take hold, and watch as they bump and bounce around the screen: with the goal being to grab all the on-screen keys to unlock the jail. The first 10 or 20 levels are pretty easy, with it being fairly obvious where to place the free bumps. Gradually more complexity is introduced, with tipping and rotating scenery as well as multiple start bumps and different coloured keys which require the correct coloured bump to catch them. 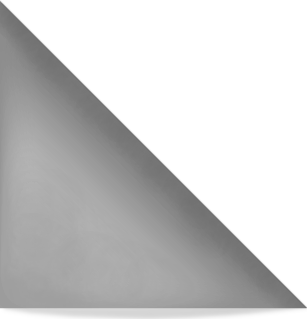 There are also some Effect blobs on some screens which affect your bump as it passes over: these cause your bump to speed up; make it bigger or smaller; or reverse gravity. 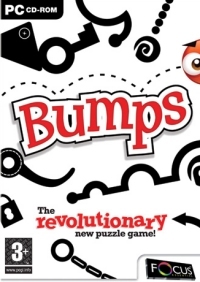 My family found Bumps fun to play, with a good ramping up of complexity as I marched through the levels. Sometimes it seemed a little bit like a minor tweak to position had a big impact on the outcome, which can lead to a bit of trial-and-error as you jiggle your bumps a little and try again. A nice touch is that the Reset button doesn't reset everything to the default position, but instead just takes you back to where you were when you pressed Go! This means that in the cases where you have multiple start bumps, you won't have to keep re-positioning those ones that you know you have in the right place. There is also a 'colour-blind' setting which replaces the green bumps with black ones - nice to see someone thinking about things like this. There are 99 levels in total and I managed to get to level 32 in an hour or so but I've been stuck on 33 for ages! I would imagine that it's only going to get trickier from here so there must be another couple of hours of play left at least. My family found Bumps fun to play, with a good ramping up of complexity as I marched through the levels. The music started to get a little repetitive after a while but that's a minor point and quickly rectified in the options screen! Definitely worth a look if this sort of puzzling takes your fancy.